Cooking With Swapna: Semiya Upma | Vermicelli Upma - Just 15 mins !!! 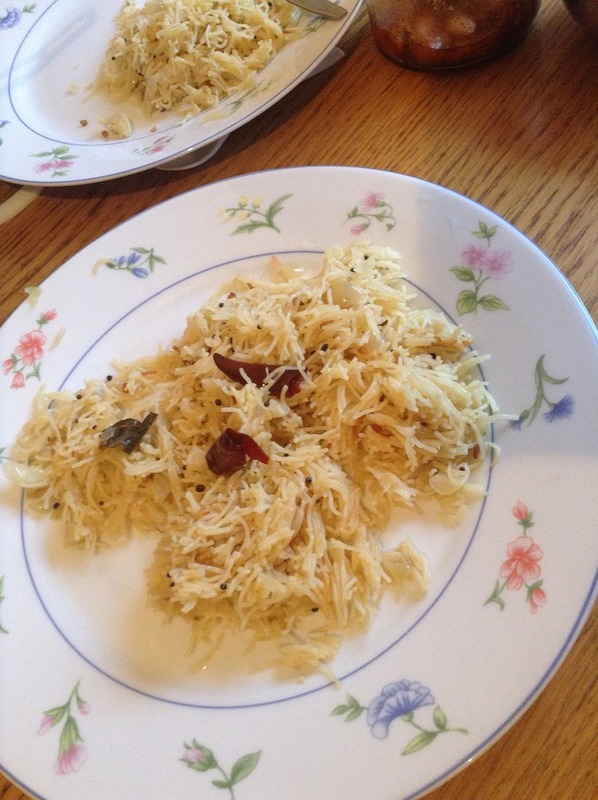 Semiya Upma | Vermicelli Upma - Just 15 mins !!! 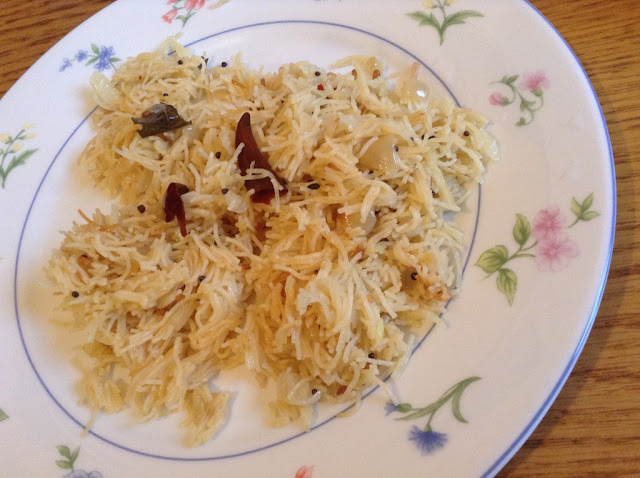 Semiya Upma is one of my favourite and easy breakfast menu, as it needs only few ingredients and less cooking time. 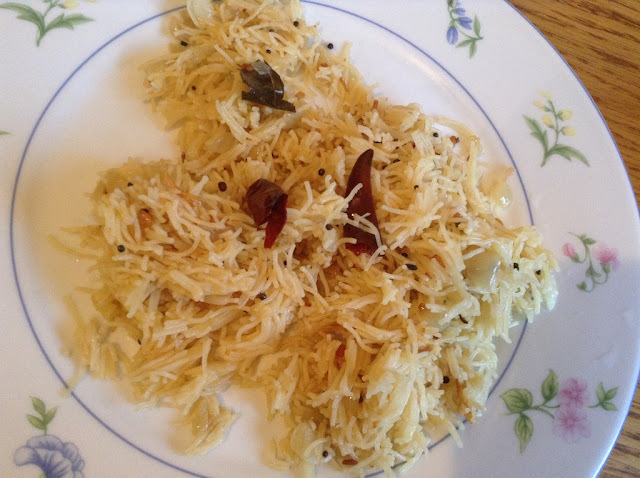 I make this simple upma without any vegetables, yet it taste simply delicious with coconut chutney or pickle. 1. Heat oil in the pan, add mustard seeds, urad dal, curry leaves, red chillies, hing and chopped onion. Saute till tender. 2. Meanwhile, boil water in another pan. 3. Add semiya and roast them along with the onion for few mins. Add salt to taste. 4. Add hot water and stir them until done. Garnish it with coriander leaves and serve. Raw Plantain Stir Fry - Delicious !! Amla Urugai | Gooseberry Pickle !! 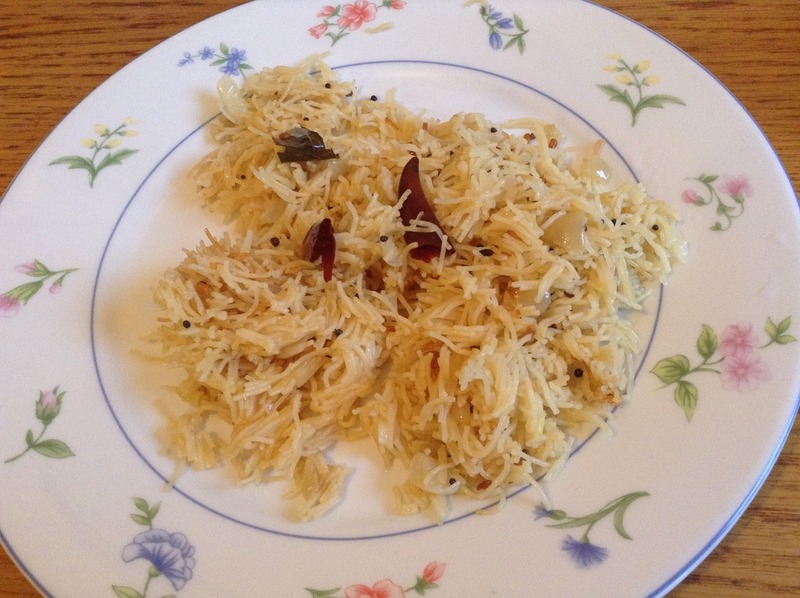 Noolkool Kurma | Turnip in Coconut Gravy !! 7 cup Burfi / Seven Cups Sweet !!! Creamy Mango Smoothie - Restaurant style ! !